One of the many gilded reliquaries found at the chapel. Sitting high atop Troy Hill on the North Side of Pittsburgh is St. Anthony Chapel. On the outside it is a rather ordinary-looking church with twin spires and a statue of St. Anthony on the top. It sits several streets back from the Main Street and if you weren’t looking for it you might miss it. 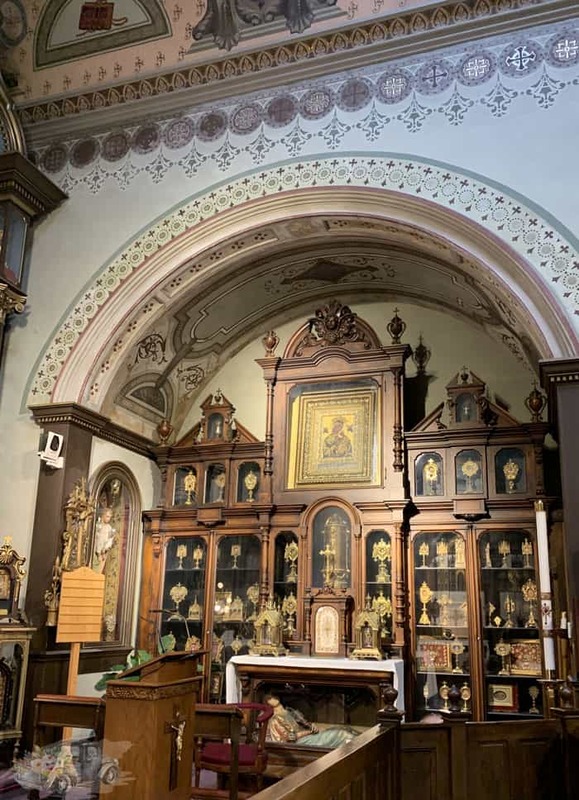 What you might not know is that this unassuming church holds the largest collection of Catholic relics outside of the Vatican. 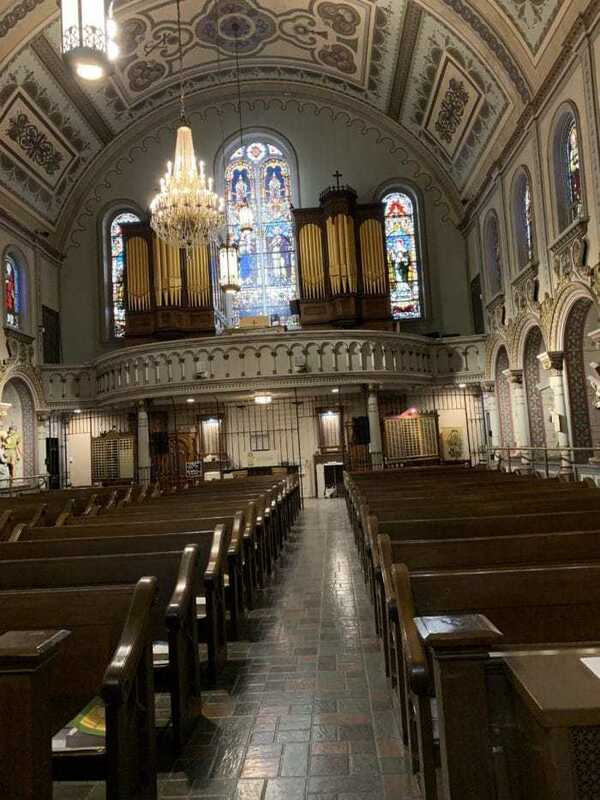 The chapel was dedicated in 1883 under the direction of Father Suitbert G. Mollinger, the son of a wealthy Belgian family. As a young man, Father Mollinger originally studied medicine before being called to the priesthood. After entering seminary, Father Mollinger studied in Ghent before he volunteered to be a missionary to the Americas. 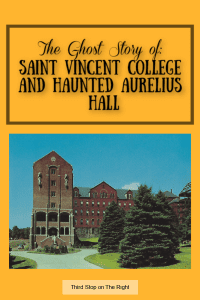 He arrived in New York in 1854, traveled to Latrobe (presumably St. Vincent Seminary), and eventually to Ohio. In February 1857 he was ordained a priest as was assigned to a parish which was then a part of the Diocese of Pittsburgh. In 1865, he came to Pittsburgh and established several missions, and settled as pastor of The Most Holy Name of Jesus parish in Troy Hill. Now, Father Mollinger had a hobby. A very unique hobby. He collected relics. Reliquaries are lined up in a display case behind the alter. Probably the most basic question you might have is “What is a relic?” Basically, a relic is a physical or personal remain of a saint. A memento, per se, that a holy man or woman has left behind. Now, there are different kinds of relics as well. (Confused yet?) In fact, there are three different types of relics. 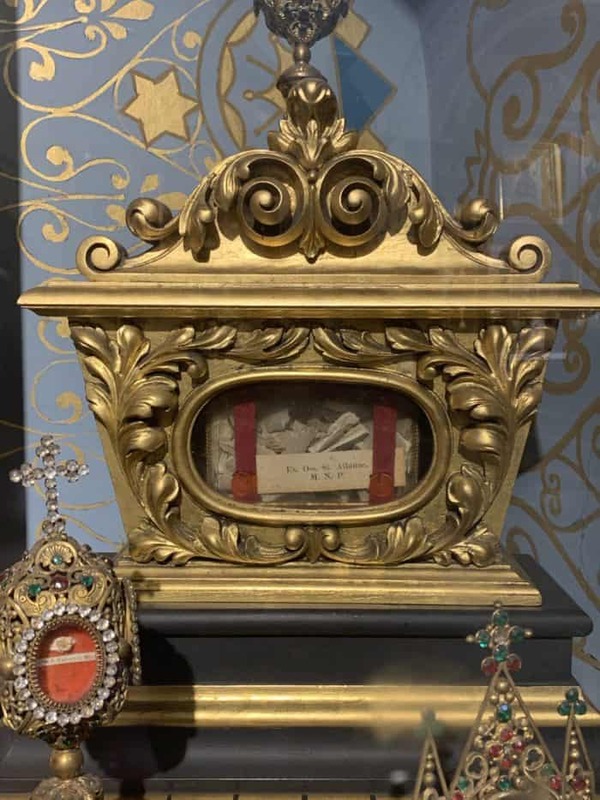 A first-class relic is a relic that is part of the body of a saint (such as a bone fragment, hair, or skin) or items directly related to Christ’s life or Passion (such as splinter from the true cross). A second-class relic is a relic that was used or owned by a saint (a piece of clothing or glasses). A third-class relic is an item (usually a piece of cloth) that has been touched to a first or second-class relic and is usually affixed to a prayer card. All of the relics at St. Anthony are treated with the greatest care, many in gilded or mahogany reliquaries and cases. Now that we know what a relic is, let’s talk about Father Mollinger’s hobby. While Mollinger still lived in Europe there was a lot of unrest going on. Monasteries were destroyed and relics were ending up in pawn shops. Mollinger, who had always had an interest in relics, began having a reputation as someone who was collecting relics for safekeeping so not only was he personally buying the relics from the pawn shops (at his own expense) but religious leaders were also sending him relics for safekeeping. A Document of Authentication sits on a table behind a reliquary holding relics. Father Mollinger didn’t take just any relics, however. All of the relics that he took in for his collection had to have a Document of Authentication which is signed by a bishop, abbot, or religious superior and two witnesses as means of establishing the authenticity of first and second-class relics. 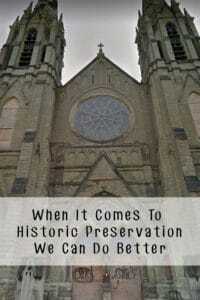 In 1880, Father Mollinger traveled back to Europe to procure more relics. Upon his return, he approached the church to propose the building of a larger church in which his relics could be housed. The church realized that it could not afford such an undertaking and denied Mollinger’s request. At that point, Mollinger decided to build a chapel with his own private funds in order to display the relics. On the Feast of St. Anthony in 1882, the cornerstone of the St. Anthony Chapel was laid and the chapel was completed a year later. St. Anthony Chapel has several second-class relics from the Virgin Mary as well as a piece of St. Joseph’s cloak on display in the chapel. 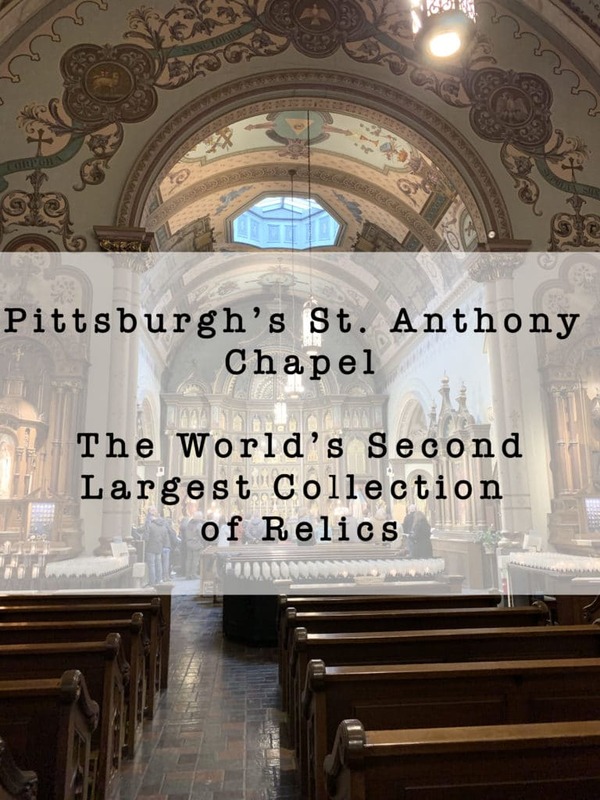 St. Anthony Chapel is currently home to more than 5,000 relics in 800 reliquaries throughout the front of the chapel in addition to 525 certificates of authenticity. 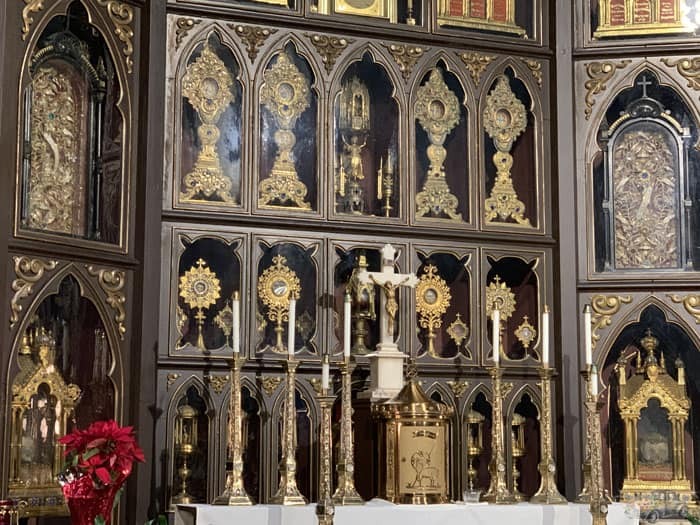 Some of the many relics housed in the chapel include a splinter of the True Cross (on which Jesus was crucified), a thorn from the Crown of Thorns, a fragment of the cloak of St. Joseph, bone fragments of all 12 apostles, and the entire skeletal remains of St. Demetrius. 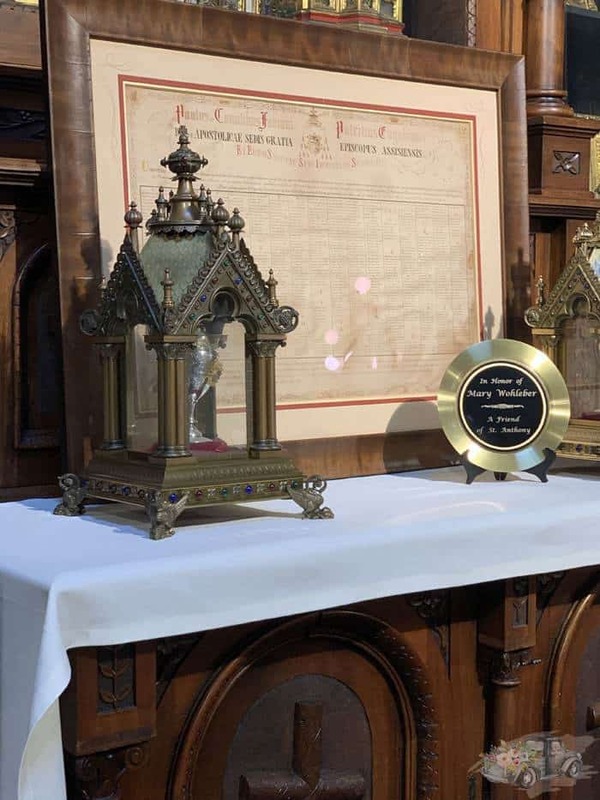 It can seem overwhelming with all of these relics and reliquaries, but the chapel has a book cataloging all of the relics as well as their location within the chapel — if you happen to be looking for something specific. The 14 hand-carved Stations of the Cross depict the events of the Passion of Christ. These life-size figures required an addition to be built on to the chapel in order to accommodate them. 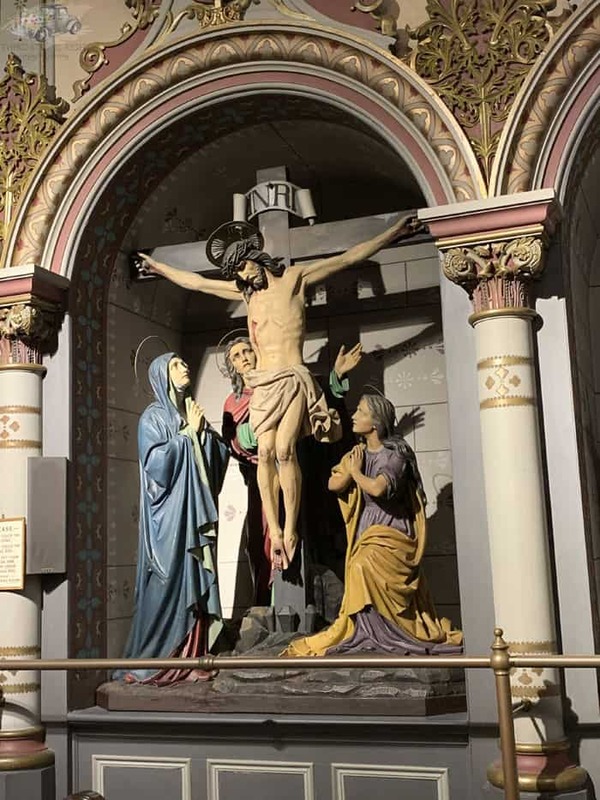 While St. Anthony Chapel is famous for its relic collection, it is also home to a life-size set of Stations of the Cross. These stations, which Father Mollinger purchased on a trip to Europe, are hand-carved and one-of-a-kind. They also necessitated an addition to the chapel. The addition was completed in 1892. Stained glass windows were imported from Europe — all at Father Mollinger’s personal expense. 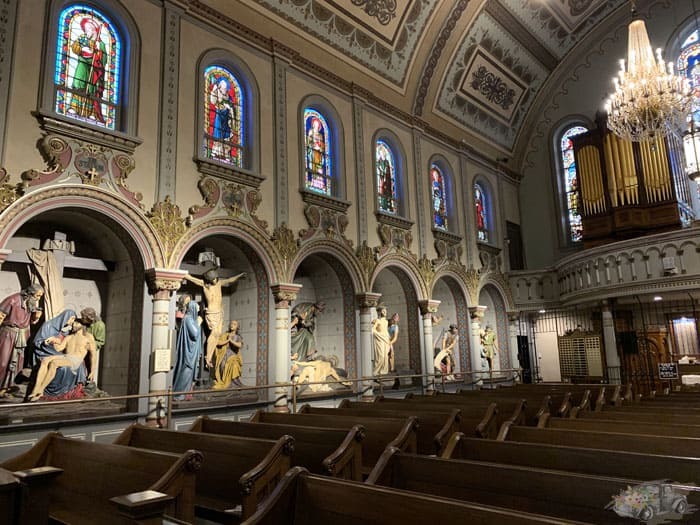 Father Mollinger spared no expense in building St. Anthony Chapel spending $300,000 of his own funds on importing stained glass windows, building an impressive edifice, and of course, purchasing the Stations of the Cross and the relics. Unfortunately as many of these stories go, years after Father Mollinger’s death, the chapel began falling into disrepair. In 1972, the Diocese of Pittsburgh realized the gravity of the situation and established the Saint Anthony Chapel Restoration Fund Committee and restoration was done in three stages, ending in 1977. 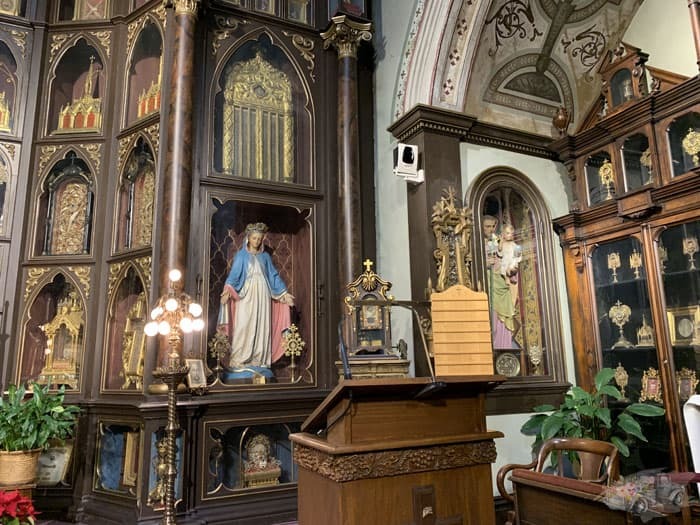 While many of us will never get to the Vatican, or any of the other great cathedrals of the world, St. Anthony Chapel is a great way to experience some amazing relics right here in Pittsburgh. Just another reason why Pittsburgh is such a hidden gem! Currently, the chapel is open to the public Saturday through Thursday from 1 p.m. to 4 p.m. Be sure to check out the chapel gift shop across the street from the chapel as well as small museum dedicated to Father Mollinger’s healing ministry. To find out more about the chapel, Father Mollinger’s healing ministry, and the relics, visit the St. Anthony Chapel website.